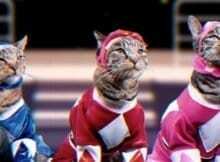 Go, go Power Rangers! Power Rangers is a popular show that has been on for years. 90’s kids loved them; today’s kids love them and even some parents.